Are Claire and Ben Australia's most remote investors? Are Claire and Ben Australia’s most remote investors? When you live in one of the most remote parts of Australia, and are expecting your first baby, how do you invest in property? That was the conundrum for Claire and Ben who live on Groote Eylandt, which may be the largest island in the Gulf of Carpentaria but most people have never heard of it. The couple, who are both chemical engineers at a local mine, also only generally leave the island once every six months, which is hardly conducive to attending open homes. 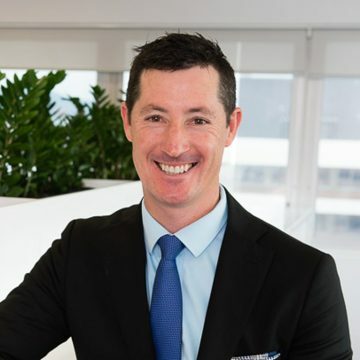 Prior to engaging the services of Propertyology, the couple had some history with property investment, but it would be fair to say that their results have been far from ideal. Before meeting each other, the couple both invested in Townsville where they were living at the time, but the timing was a bit off as it was around the time that the GFC hit. A few years later, they invested in the United States, where Claire says they learned a lot, but they won’t walk away with much to show for the experience. “It’s been an interesting ride. We won’t come out with a loss but we won’t come out with a great gain, either,” she says. Claire and Ben decided to concentrate on their share holdings for a while after that, but then the property investment bug struck again. The problem was their ultra remote location – on an island 630 kilometres from Darwin. Claire says she’d witnessed other people on Groote Eylandt invest on the mainland but it was a difficult process and was one she wasn’t overly keen to replicate. “A lot of people I know have invested while they’ve been here, but they’ve had to spend their whole holidays going and looking at properties and you obviously only get a limited snapshot then,” she says. 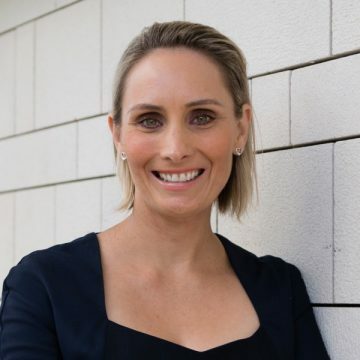 Given her professional background, it’s no surprise that Claire is big on research so she started searching for a buyers’ agent that could help them buy their next investment property. A non-negotiable, she says, was the agency had to be a member of the peak industry association. “I came across Propertyology because I was looking for the ones that were associated with the REIQ and they were on that list,” she says. “I basically worked my way through that list. I actually did a relatively rigorous interview of each one so I could chat to them and understand what their principles were. That varied approach meant that Claire and Ben’s original idea of investing in a capital city because they may potentially return to live there in the future was turned on its head. And the property that Propertyology recommended to the couple ticked all the boxes when it came to strategy, capital growth prospects as well as rental yield, but Claire admits she wouldn’t have considered the location without understanding the research behind its selection. In fact, it’s Propertyology’s level of research that is one of the many attributes that Claire admires about the agency. “There was also constant communication, which is something that’s very important with me. I was very happy with how they did that,” she says. 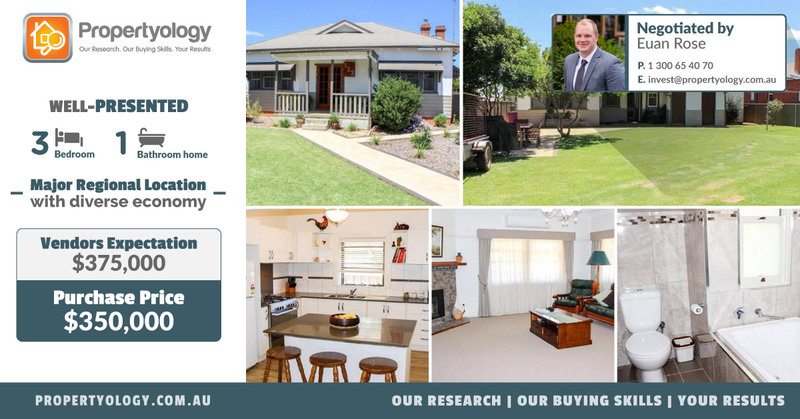 Propertyology’s Euan Rose negotiated on behalf of Claire and Ben on the property and achieved a sales price of $350,000, which was $25,000 below the vendor’s expectation. The property – which is a renovated three-bedroom, one-bathroom house in a major regional location – also achieved a weekly rent of $370 when the rental appraisal had originally been a maximum of $350 per week. Claire and Ben are now waiting for the birth of their first child, so for the time being they are concentrating on that next exciting stage of their lives. But the couple, who hope to retire by the age of 45 or 50, know they will continue investing in property and will use the services of Propertyology to help them achieve their financial goals. In fact, Claire says she wishes she’d used buyers’ agents from the very beginning of her investing journey. 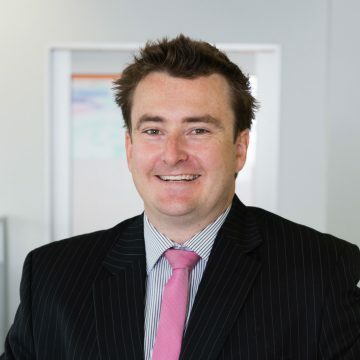 “When you’re a bit younger and more naive, and you haven’t experienced the world as much, I wish that I’d known about buyers’ agents back then, because I definitely would have used them. I guess I was just a bit oblivious,” she says. “We definitely will go back and do another one Propertyology down the track. Nicola is an award-winning freelance journalist, editor, and writer who has specialised in property reporting and analysis for more than 11 years. She is also an active property investor and real estate commentator. Nicola is a former Queensland Media Award winner and won the 2017 REIQ Best Media Report.